We can make high quality Hessian Cloth. 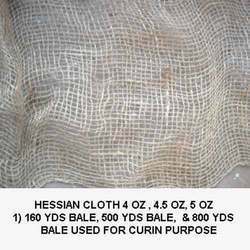 We are exporters of hessian cloth in the market of Saudi Arabia, Oman, Dubai, Jordan, Kuwait and other middle east country , this cloth is used for curing purpose. These above quality is exported to Egypt, Iran etc. Available with us is an exclusive range of Hessian Cloth Container, which enhances the beauty of goods. Manufactured using splendid quality fabrics, these containers are available in various designs, colors and sizes. Our team of expert designers designs these Hessian Cloth Containers in vibrant shades in order to captivate appeal to the interior. 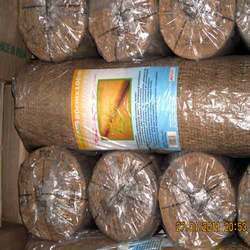 We are engaged in manufacturing and supplying long lasting Jute Mills Hessian Cloth that are available in various colors and different patterns. Suitable for the packing of textile and non textile products, these cloths are made using natural jute fibers and are highly acclaimed by our clients for their best performance and durable quality. 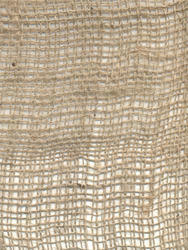 In addition to it, these Jute Mills Hessian Cloths are offered to clients at most nominal rates. We offer Natural Colour Hessian Cloth, which are available in stylish patterns, colors and textures. These are designed by our experts in accordance with the preferences of our clients. Manufactured from high quality material, these Natural Colour Hessian Cloth are ideal for making curtains and shopping bags. 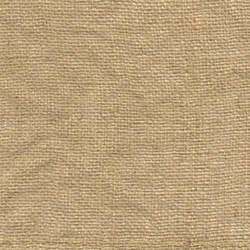 We also manufacture these Natural Colour Hessian Cloth as per customized specifications. With vast industrial experience, we are able to offer our customers a wide range of Hessian Cloth Bales. These are designed by our skilled designers using finest quality fabrics and are offered in various customized patterns and specifications. 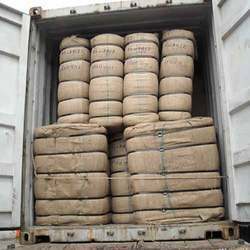 These are widely used for the purpose of outer packing of cartoon, bales, boxes, carpets, bundles etc. Offered at market leading rates, these Hessian Cloth Bales are made in both customized and standard measurements. Clients can avail a wide range of Hessian Cloth offered by us, which is widely known for the perfect creativeness and designs among the clients. These bags are generally used for the purpose of making bags or as a cover to pack the material. However, these cloths are ideal for agricultural and other packing application. 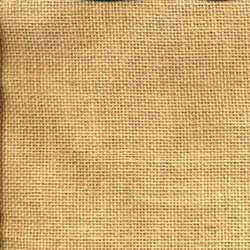 The clients can avail our attractive range of Hessian Cloth in various patterns and sizes at the pocket friendly prices. We supply an exclusive range Jute Hessian Cloth 15kg Bale, which meet the demands of high performance areas. Known for their high durability, strength and print ability, these cloths are used for making bags and cover material. Available in different textures and dimensions, these Jute Hessian Cloths 15kg Bale are made as per the diverse requirements of our customers. 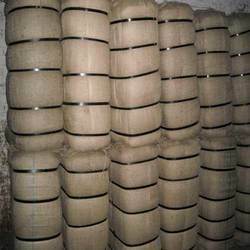 With the rich experience in the industry, we successfully offer an enthralling range Jute Hessian Cloth 70 kg Bale. These are fabricated from best raw material and are extensively used in manufacture of bags, packaging covers and more. 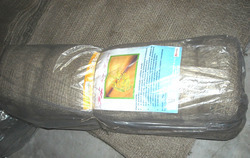 These Jute Hessian Cloths 70 kg Bale are also customize as per requirements of the clients. 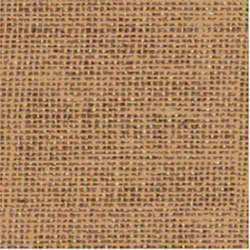 Owing to extensive experience, we are leading exporters and suppliers of Jute Hessian Burlap that are available in different colors and sizes. These are widely used for the purpose to make bags, rugs and other products. These are well checked by our professionals to ensure their flawlessness. 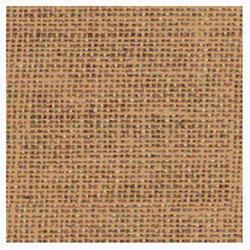 Additionally, these Jute Hessian Burlap can be customized as per clients requirement. We bring for our clients a wide range of Jute Mat Cloth that is available in various elegant and classic finishes to meet the requirements of clients. Known for strength and durability, these cloths are highly demanded across the globe. In addition to it, these Jute Mat Cloths are completely environment friendly and bio-degradable. Our clients can avail these cloths in vibrant shades at most reasonable rates. 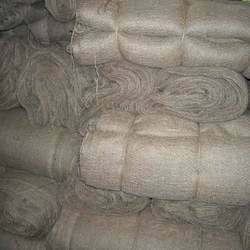 We are a well known name to manufacture and supply the best range of Jute Curin Cloth. these are playing a vital role in the packaging for various kinds of goods like coffee beans, , wool and cotton. 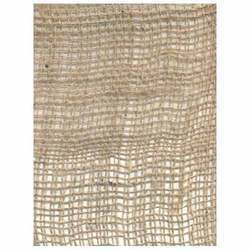 made using finest quality material, our jute hessian cloths are available to clients in various patterns, designs, and sizes at the pocket friendly prices to meet the variegated demands of clients. 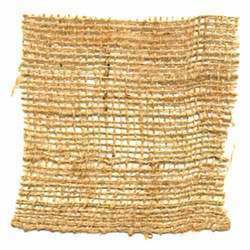 We manufacture a collection of Hessian Cloths, which is manufactured using premium quality raw material, sourced from trusted vendors in the market. These are widely known for their looks and designs and are playing an active role in the manufacture of bags and packaging covers. Known for premium quality, durability and soft texture, these Hessian Cloths are offered at most affordable rates in various specifications to suit user requirements. We can supply Indian origin all kinds of Hessian Cloth, Eco friendly Jute fiber. 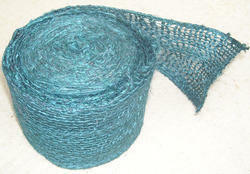 Apart from Hessian cloth / Burlap also we can supply all kinds of Jute Bags, Jute Yarn & Twine. Only genuine and professional Buyers are requested to contact with detail specification, quantity and port of discharge information. 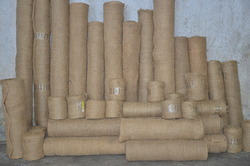 We fabricate Jute Scrim Cloth especially for Agriculture. Available in various size and designs, these Jute Scrim Cloths are ideal for soil erosion control, vegetation consolidation, agro-mulching, reinforcement, and protection of riverbanks & embankments, land reclamation and in road pavement construction. 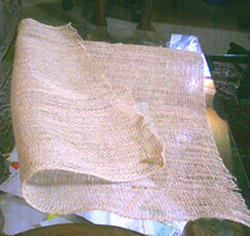 These Jute Scrim Cloths For Agriculture can be availed from us at cost effective rates.